Canon Wireless Printer Just $34.99! Down From $100! Shipped! You are here: Home / Great Deals / Amazon Deals / Canon Wireless Printer Just $34.99! Down From $100! Shipped! 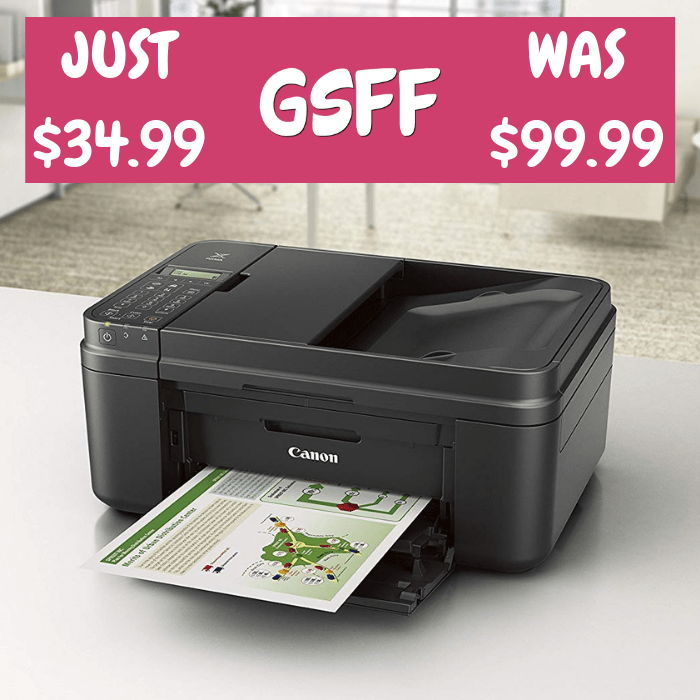 At Amazon, you can score this Canon Wireless All-In-One Printer for just $34.99 down from $99.99 PLUS FREE shipping! Print from more locations than ever with the MX492 thanks to outstanding connectivity options and the ability to place the printer more places than ever with it’s 30% reduction in size over previous MX models. With Google Cloud Print and AirPrint, you can print wirelessly from your compatible smartphone or tablet from virtually anywhere around the office. It’s loaded with timesaving features, as well, including a fully-integrated automatic document feeder which holds up to 20 sheets. Plus, the optional XL ink cartridges mean you can print longer before having to replace your cartridges.